Pesto has its origin in Genoa Italy as far back as the 16th century. The name pesto has its roots in the Genoese word pestâ meaning to pound or crush, and quite evidently, this is just how pesto is prepared. Typically green in color, thanks to its main ingredient, basil, this sauce has almost become everyone’s favorite. Its use goes beyond the original pasta sauce to sandwich and pizza spread, dips and salad dressings, pastries , tossed vegetables, and as garnish in soup. 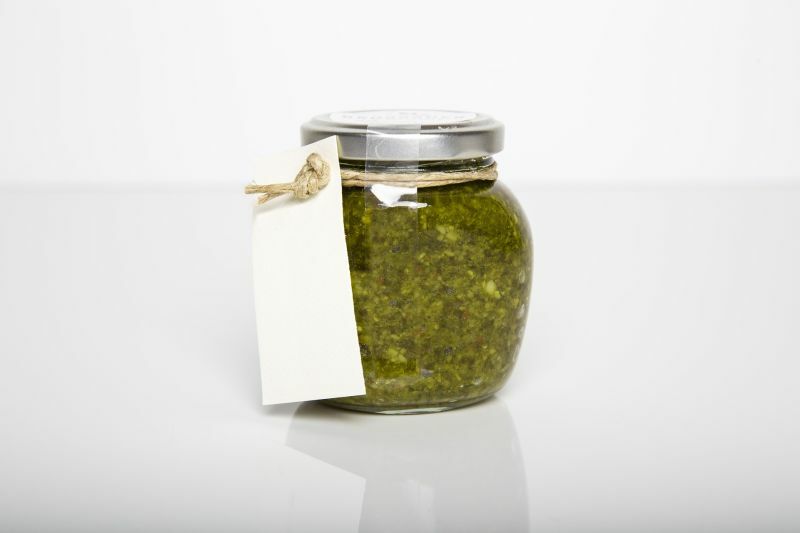 The original pesto sauce is made from garlic, pine nuts, olive oil, Parmesan cheese, basil, and salt. Today’s pesto has far too many variations hailing from chef’s creative nature while still others are a carry forward of long standing traditions. One of the most commonly used is the red pesto made of red bell pepper or sun dried tomatoes. Coming to veganism, the original pesto is certainly not vegan because it contains cheese which is a dairy product. However, considering that pesto’s recipe and ingredients are not cast in stone, it is very easy to turn pesto into a vegan sauce. Simply replace the Parmesan cheese with some nutritional yeast, tofu or even the healthful guacamole and you have it all vegan and delicious.